resources based on skill, availability, and even proximity! run by very talented people, who seldom took vacations. use the system, schedulers could take a vacation without worrying. 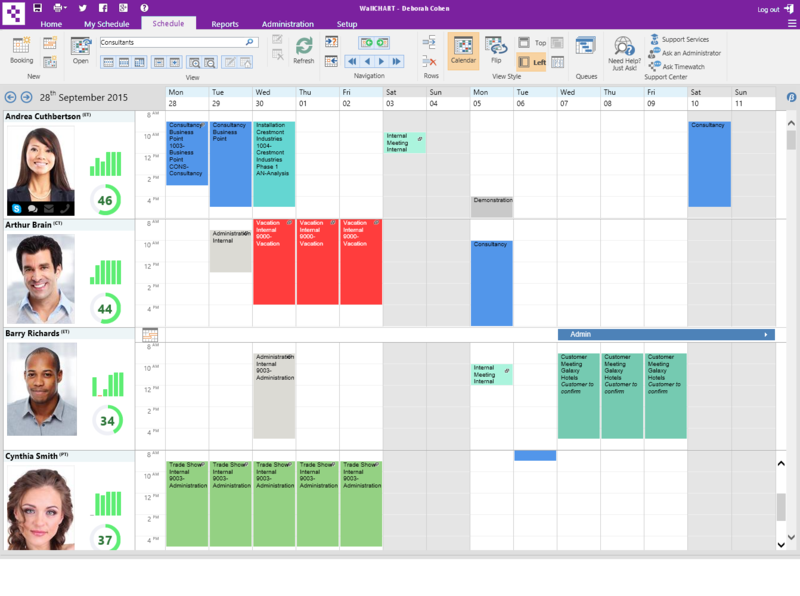 Schedule employees and resources with the wallchart resource scheduling system. Organization Wide Resource Scheduling System. 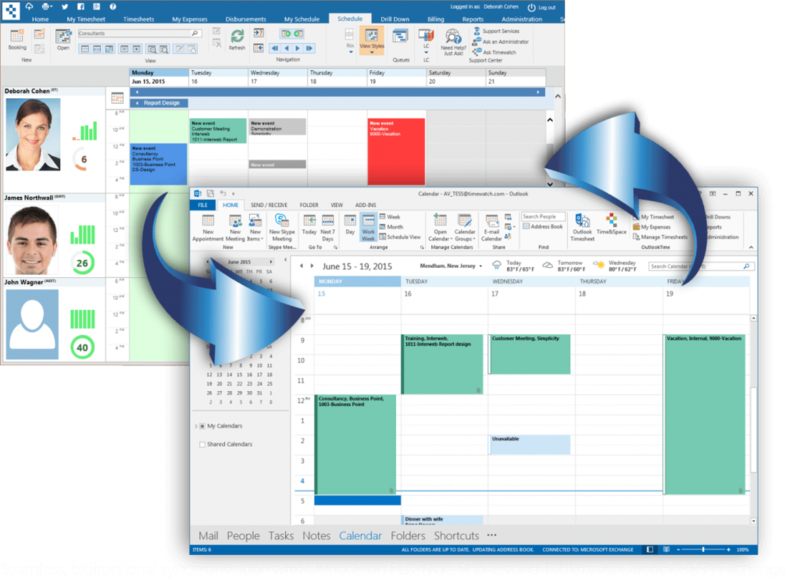 Unique to Timewatch® is our seamless, bi-directional, synchronization with Outlook 365 / Exchange. The choice is yours. Wallchart® resource scheduling software is available in the Cloud or on your servers. You could even start in the Cloud and then move to On-Premise, or vice-versa. Wallchart® is designed to adapt as your needs change: upgrade to a more advanced edition, add more users, or move to Time&Space® to add time tracking, costing, charging and billing. Wallchart is 100% browser-based and supports all major browsers on PCs, Macs, and Linux, as well as iPhone, Android, and Windows phones and tablets. Wallchart® include a free learning center with training videos, tips, and support center to assist customers in learning. We also provide professional training and implementation services, which we recommend for Pro and Enterprise systems due to their higher levels of configurability. Yes! The system includes a help desk system to help you support your customers, and a free, automated and searchable library of customer questions and answers. Additionally, if you need help from a human, just ask. Upgrade from Wallchart for Windows? Yes! Wallchart for Windows customers can upgrade to New Wallchart®. Even though the technology is all new, many of the concepts are the same, so your existing data can be carried forward. Contact us for full details. The next step up is WhiteSpace®, which add project scheduling, customer views, advanced scheduling tools, mapping and advanced reporting. Additionally, as WhiteSpace® is project centric, you can also add optional modules such as time tracking, time rating systems, multi-currency and billing.